Please note, if you join the $1.00 trial, you will be billed the full $99 after the 7th day (and then $99 per month). You can cancel any time with a click of a button. Want more specifics about each plan? Click here to see a detailed feature comparison table. So, you're thinking about getting Zippy Courses? Here's how we can help you create—and sell—online courses with ease. A payment plan makes your premium online course more accessible to people who don't have the money "up front." And that's why we make it EASY to create payment plans. If you want to create and sell online courses, a fast way to increase conversions is to "Open and Close" enrollment. See how easy it is right here. If you want to drip your content or release it all at once, Zippy Courses has your back. #4 Build Your Email List By Giving Away "Free Mini Courses"
If you want to build your email list, you can give away a FREE mini course to do it. Watch how easy it is to setup right here in this video. All Rights Reserved © DHJW Software LLC. Which Zippy Courses Option Is Right For You? *: Zippy Courses does not charge you any transaction fees, ever. 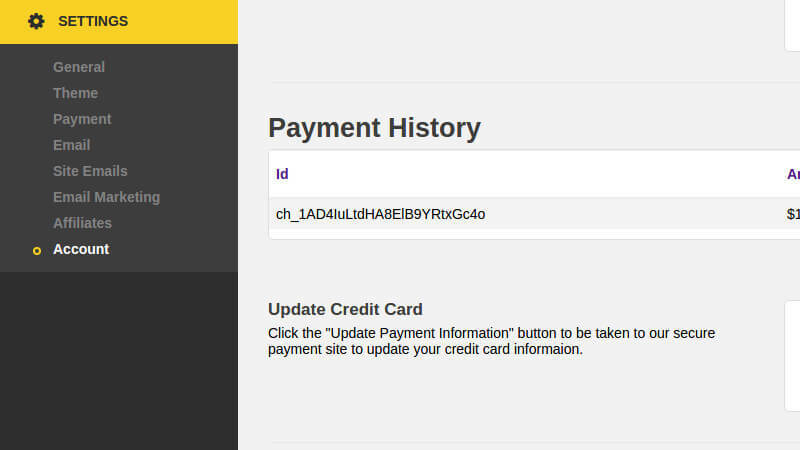 Please note: you are still responsible for your payment processing fees (which are charged by gateways such as PayPal, Stripe and other merchant accounts. **: Unlimited hosting for one business that you own. 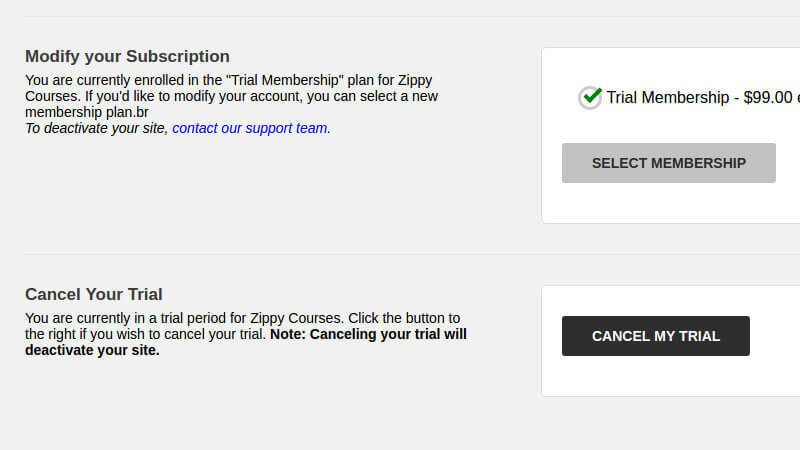 ***: Zippy Courses emails are transactional emails related directly to the people that purchase your course. Log in to your site admin, and go to the Account link your Settings menu. Click the Cancel Button. That's it!